By the grace and mercy of Allah we have a fully established masjid which has been running for the last 15 years. We have worked hard to keep pace with the ever expanding congregation and through the dedication of many of the brothers on the ground, we’ve come to establish facilities that benefit everyone in our community. This rapid growth has required us to invest and we cannot achieve this alone. After assistance from Allah, we need all involved in the community and those outside of it, to establish and sustain some key areas and complete long term projects, that will benefit hundreds or thousands of people in the long term. Last year we all raised enough money to buy and install perimeter fence and gate, vital in keeping the masjid grounds safe, parking safe, protecting masjid property; and making it possible for the children to play on the new play areas. However with the recent events that have occurred, it is necessary for us to complete the full security upgrades needed to regulate the entrance. These include lockable gates with magnetic release locks to prevent unauthorised access, CCTV coverage for the entire masjid area, installation of security lighting and construction of safe walkways around the masjid car park. The above will keep attendees and children safe during Qur’an School, Saturday School, when playing outside, doing experiments or learning as part of our madrasahs and Tuition Club. One of the most important aspects of any centre, are the facilities it provides, and how it caters for the varied needs of the people of the community- and children are a vital and large part of that. 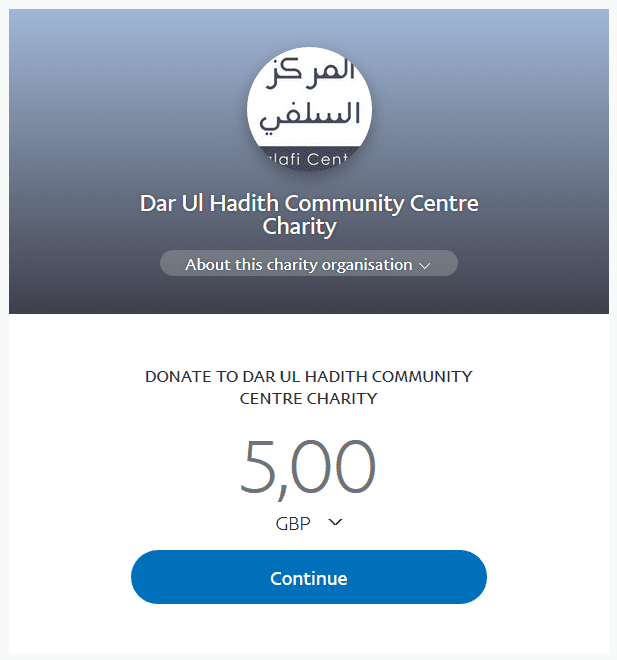 By the grace of Allah the masjid caters for 500 children on a weekly basis at the Quran School, Saturday Madrasah (Salafischool.co.uk); and Tuition Club (TuitionClub.org). However we are now running at full capacity and have waiting lists for children who’s parents wish to send them. In light of this we need your help to assist in the purchase of and installation of an extra external classroom. Furthermore upgrades to our existing cabins (energy saving measures) will drop the bills, saving us money in the long term. The Prophet (ﷺ) said, “The best among you (Muslims) are those who learn the Qur’an and teach it.” (Sahih al-Bukhari: 5027). This class would be used for Quran; as well as Arabic, Islamic Studies Classes; and secondary subjects such as Maths, English, Science, Cooking Classes, Youth Club Activities and more! Last year our upstairs wudhu area installation was completed, combining and upgrading two small rooms (with a toilet and one sink) to a a single room with three toilets and 4 wudhu wash sections. Although this has eased congestion, we ended up losing out on shower facilities during itikaaf. Space is very tight now, however with some clever planning we should be able to install an enclosed shower unit; as well as an extra wudhu station downstairs in the women’s wudhu area. This upgrade is sorely needed.There is a large number of attendees (150+ women on Fridays) and children (150+) making wudhu, resulting in queues and congestion. This is a great opportunity to earn ongoing reward (sadaqah jaariyah), and establish ongoing knowledge. These facilities will help educate our children and we hope to have the wudhu and shower facility available for Ramadhaan. A lot of effort as been put in to make the masjid as self sustaining as possible. It generates the majority of its income all on its own. However the extra demand has meant we we need to still ask the people for assistance with our rent. The rent is specifically for the back part and flat area of the masjid; which plays a huge and vital role – housing the majority of students (200+) and sometimes attendees on a weekly basis. In addition to this the extra classes and clubs we establish as well as room upgrades will bring in further income as well as bring our youth club cooking facilities in-house. This means we will save money on rental costs and provide a safe convenient cooking location for our young sisters to learn new skills on Sundays; as well as more space for more of our Islamic Studies and Quran Students to learn the religion. All of the above equals a massive opportunity for reward for everyone connected to the masjid. The Messenger of Allah (ﷺ) said “Whoever builds a masjid for the sake of Allah, Allah builds for him a house in Jannah” (Bukhari & Muslim). There is a lot of renovation and restoration work needed in the masjid, especially as it is so busy. Give whatever you are able to and together we can get to the the full amount we need.